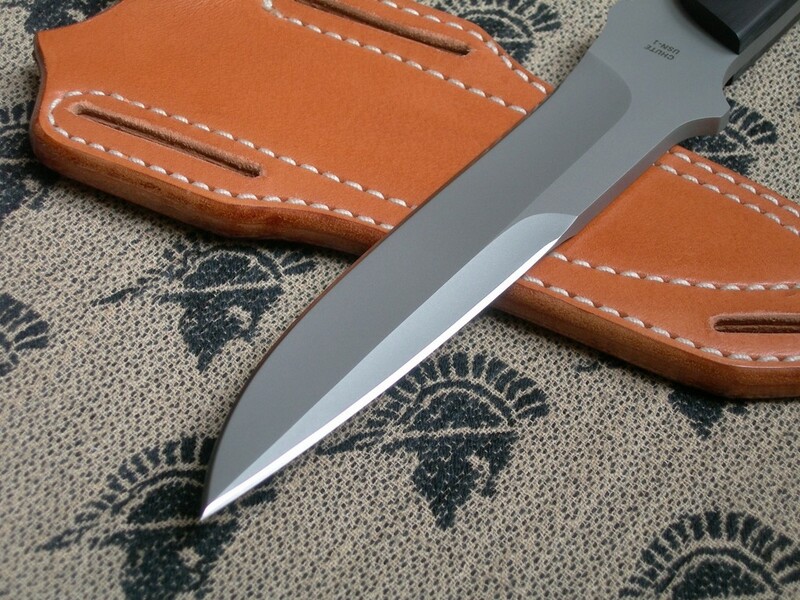 Summary: a Limited Edition Vaughn Neeley SF Survival Chute with double-edged bead blasted blade and black linen micarta scales. 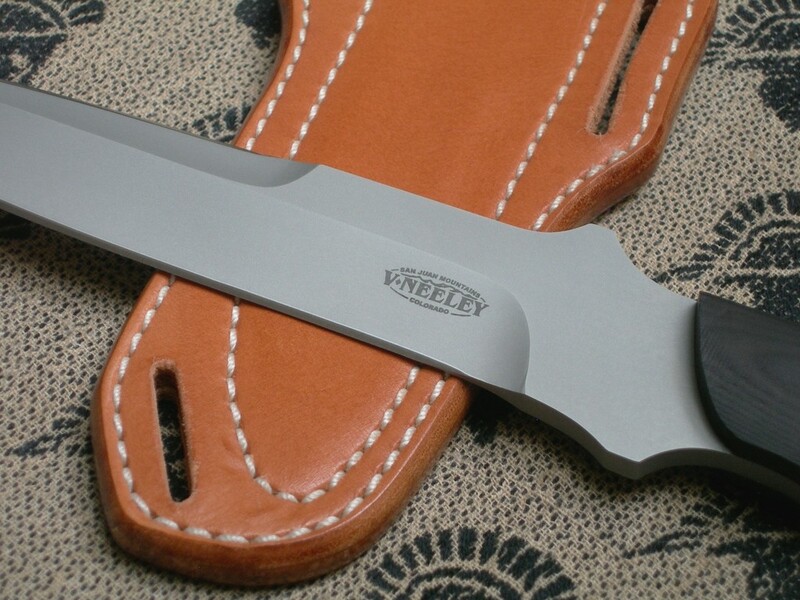 This was made specifically for the USN (Usual Suspect Network), very limited run of 10 pieces. 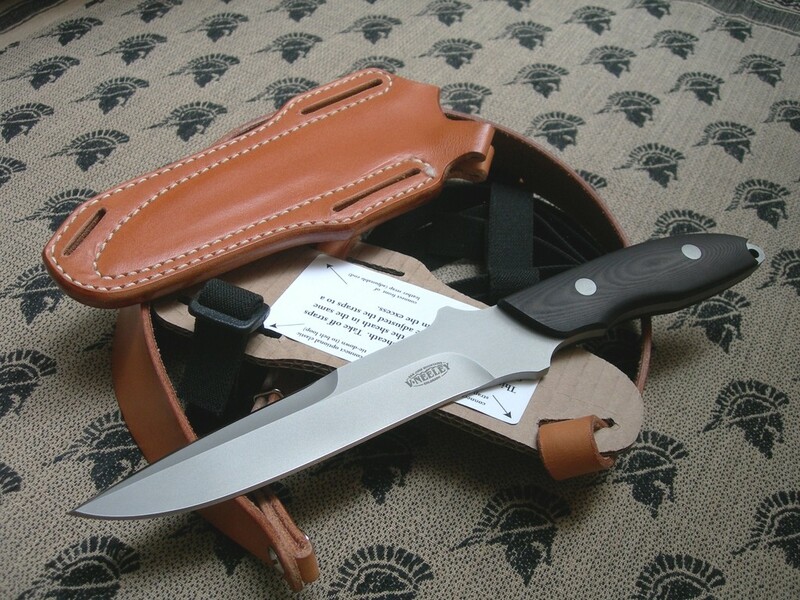 This is an awesome model, serial USN-2 and brand new. 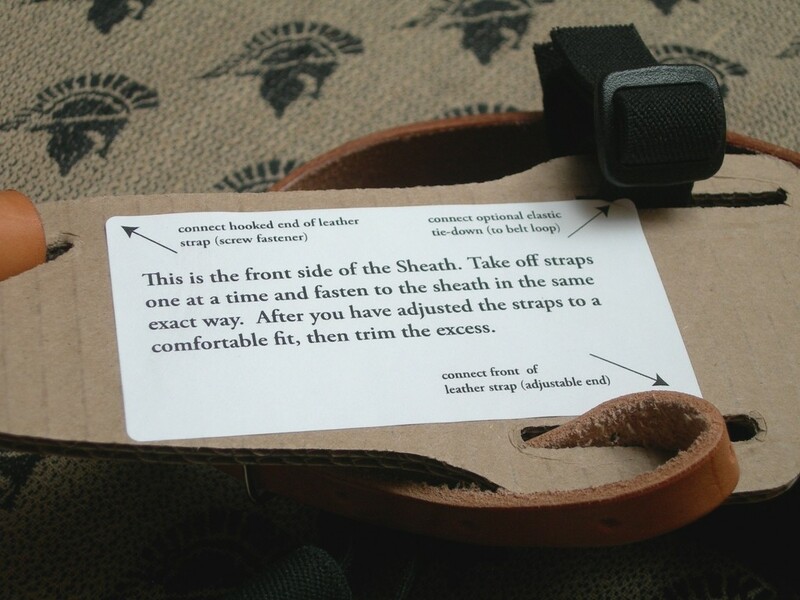 Note: Vaughn has gone great lengths and created a cardboard template for the shoulder rig so it’s simple to get the straps right. 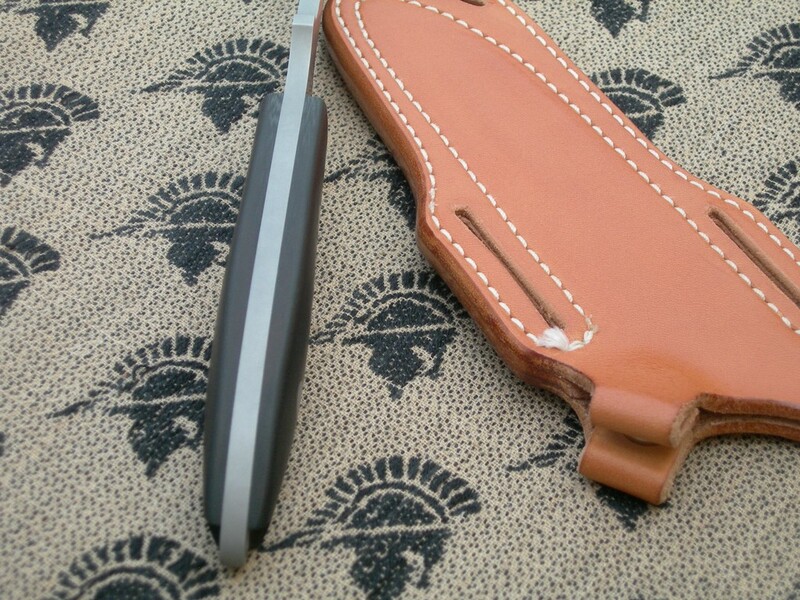 (see photos) Additionally, there are instructions as to how to trim the leather should you wish to customize the sheath for a perfect fit. The shoulder straps can be unsnapped and the sheath worn solo on the belt, with the belt slits the methods of carry / attachment are limitless. 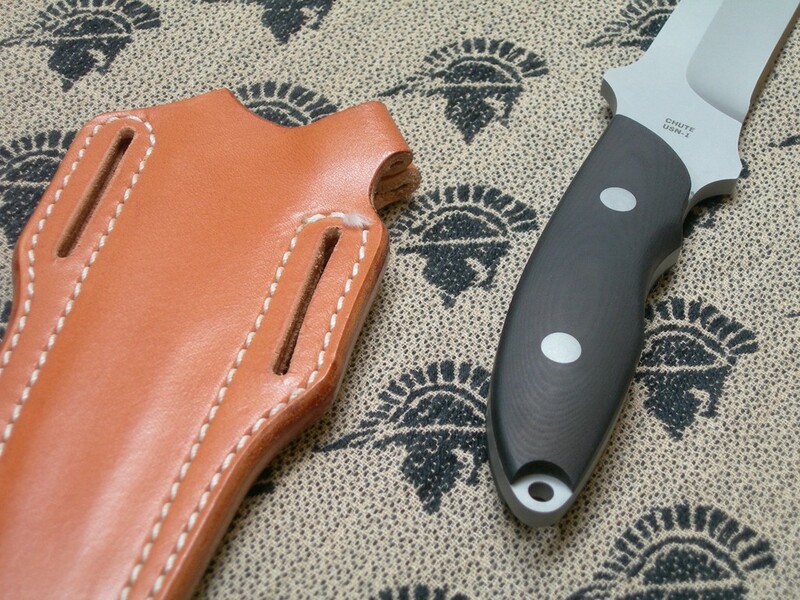 Sheath / shoulder rig all in mint condition. 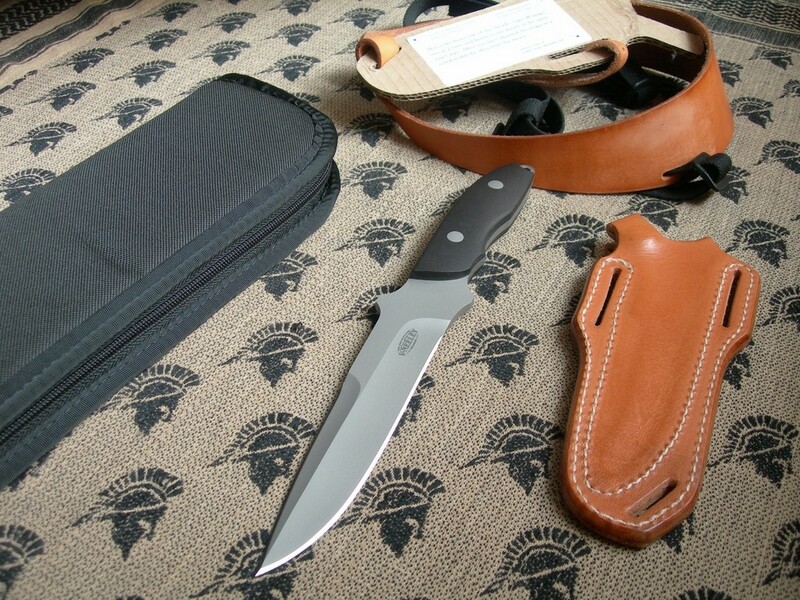 11 photos of the USN1 knife for review – as shown, a new black canvas carry case is included. (everything will be packed exceptionally well) If you're missing this model in your collection or you're a USN forum member, grab it up quick as it's priced to sell. 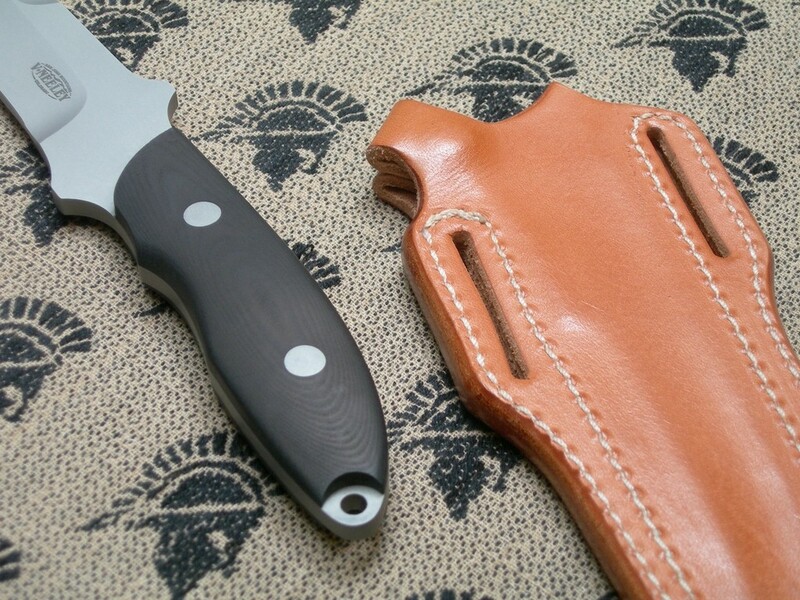 The sheath / shoulder rig combination is $300 stand alone, this is a great value. Thanks and good luck. 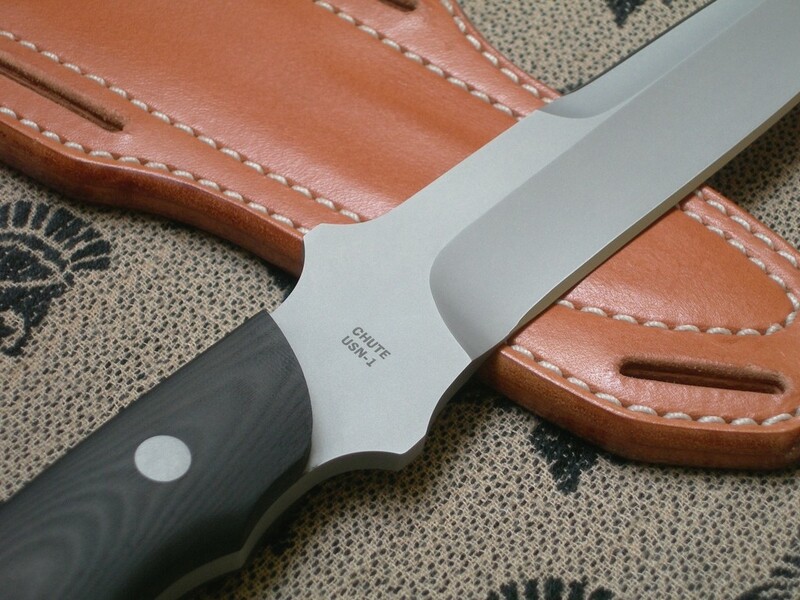 Steel: 6-1/2" ATS34 - Double Edged Hollow Ground Blade From 3/16" Stock - Black Linen Micarta Handle - Pancake style leather sheath may be worn on a belt or attached to leather shoulder rig. 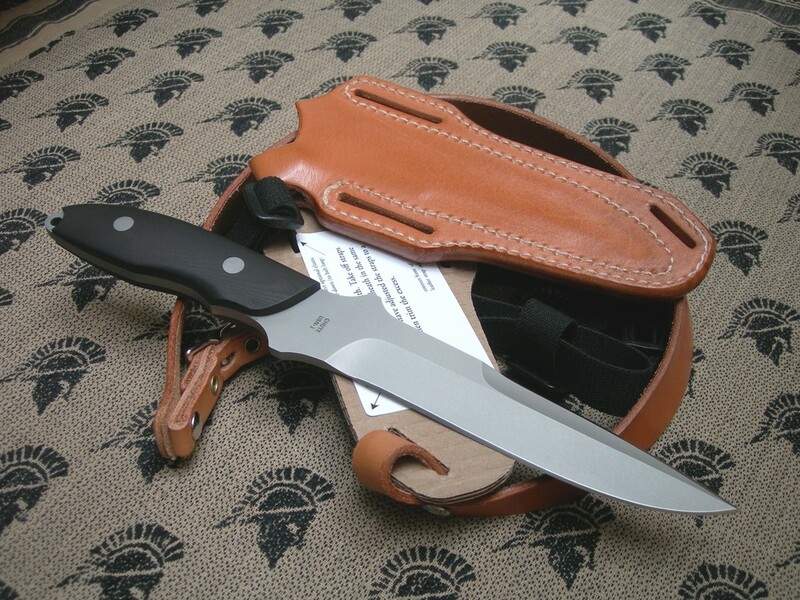 Sheath securely holds knife in any position. Unique thumb release for one-hand quick draw.